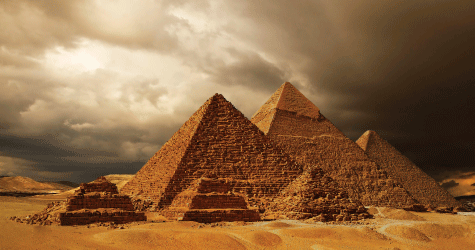 Apologetics Press - When Did Jesus Go to Egypt? When Did Jesus Go to Egypt? Most people familiar with the few details given in Scripture about the early life of Jesus are aware of the fact that following the visit from the wise men, Matthew indicates that Joseph and Mary took Jesus and fled to Egypt at the command of God (Matthew 2:13-14). Later, after Herod’s death, Jesus’ family departed Egypt for Nazareth where they made their home (Matthew 2:19-23). According to some, however, Luke’s account of the early life of Jesus contradicts Matthew’s (Wells, 2011; cf. Ehrman, 2005, p. 10). Luke indicates that after Jesus’ birth, and once Mary’s days of “purification according to the law of Moses were completed” (2:22), which would have been about six weeks after Jesus was born (Leviticus 12:3-4), Joseph and Mary took Jesus to the temple in Jerusalem (Luke 2:22-38). The inspired physician then writes: “So when they had performed all things according to the law of the Lord, they returned to Galilee, to their own city, Nazareth” (Luke 2:39, emp. added). Since Luke mentions nothing about Egypt, and Matthew says nothing about a trip to Nazareth soon after Jesus’ birth, allegedly either Matthew or Luke is mistaken. The allegation that Matthew and Luke’s accounts are contradictory is actually based on an assumption: the skeptic assumes that Matthew and Luke each included all of the whereabouts of Jesus’ family during His early life. The fact is, however, such a conjecture cannot logically be upheld unless both of the inspired writers claimed to write exhaustive, chronological accounts of everything Jesus did. Neither writer made such a declaration (cf. John 21:25). Could it be that Joseph, Mary, and Jesus “returned to Galilee, to their own city, Nazareth” (Luke 2:39) before going to Egypt, and then after traveling to and from Egypt they returned to Nazareth again (Matthew 2:23)? The Holy Spirit certainly could have inspired Matthew to write his truthful account of some of the life of Christ without mentioning a brief “return” to Galilee. However, it is also very possible, and perhaps more likely, that Luke simply omitted Joseph, Mary, and Jesus’ trip to Egypt, which sequentially could be placed between Luke 2:38 and 2:39. Bible writers frequently moved from one subject to the next without intending to give every action that took place during a particular time or the exact order in which something was done or taught (cf. Luke 4:1-3; Matthew 4:1-11). Later, for example, in chapter 24, Luke omitted the post-resurrection appearances of Jesus in Galilee, which both Matthew and John mentioned. The events that Luke recorded in the first 43 verses of chapter 24 all took place on the very day of Jesus’ resurrection. The final four verses of Luke 24 (vss. 50-53), however, took place more than five weeks later (see Acts 1:1-12). Yet Luke simply recorded the various events in chapter 24 (vss. 1-43,44-49,50-53) and connected them with the Greek conjunction de (“but” or “and”), which has no specific chronological implications. The same is true with the Greek conjunction kai, which Luke used in 2:39. Consider also an example from Luke’s account of some of the acts of some of theapostles (in the book we call Acts). In chapter 9, Luke mentions that Paul went to Jerusalem after becoming a Christian (Acts 9:26). But, according to Galatians 1:17-18, Paul actually went to Arabia, back to Damascus, and then after three years he went up to Jerusalem. Once again, Luke, by inspiration of the Holy Spirit (cf. 1 Timothy 5:18), omitted a part of someone’s life. But such an omission is in no way proof of dishonesty—anymore than if, at the funeral of a 90-year-old man, someone gives a synopsis of his life, and omits the two years he spent in Warner, Oklahoma in junior college. Keep in mind that the Bible is a book that covers approximately 4,000 years—from Creation to the end of the first century A.D. God’s purpose in giving us His Word was not to tell us about everything that every person ever did up to that point in time. In fact, even the one Person, Who is the main theme of Scripture—Jesus—has relatively little recorded about Him in comparison to every place He ever went and everything He ever did or said. As the apostle John proclaimed, “Jesus did many other signs in the presence of His disciples, which are not written in this book, but these are written that you may believe that Jesus is the Christ, the Son of God, and that believing you may have life in His name” (20:30-31, emp. added). In truth, “there are also many other things that Jesus did, which if they were written one by one, I suppose that even the world itself could not contain the books that would be written” (21:25, emp. added). Simply because Matthew or Luke or any other Bible writer does not mention everything that every other Bible writer mentions about the same general time or event, does not mean that someone has erred. Rather, just as we oftentimes tell stories today and include certain details that others omit, so did the inspired writers of Scripture. Honest truth-seekers (Proverbs 8:17) will come to the logical conclusion that the Bible writers supplemented (not contradicted) each others’ accounts of biblical events. Wells, Steve (2011), Skeptic’s Annotated Bible, http://www.skepticsannotatedbible.com/contra/egypt.html.